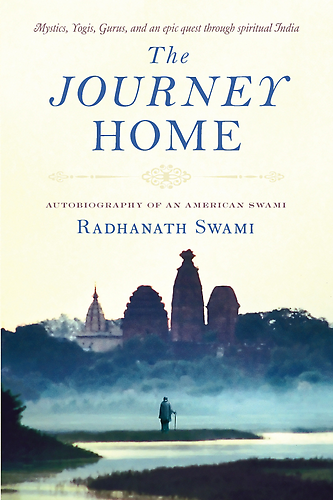 Question to Radhanath Swami: We come to the temple, and we listen to lectures. But we are finding it difficult to take spiritual life seriously. So what is the solution? How to be determined? Radhanath Swami Answers: Before you could run a cross country, you have to learn how to crawl. And then after learning how to crawl, you have to learn how to take your first step. Any destination begins with the first step. What is the least we should do for our spiritual life? Question to Radhanath Swami:What is the least we should do for our spiritual life? 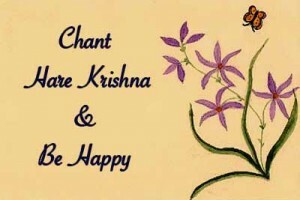 Question to Radhanath Swami: I have been practicing chanting Hare Krishna for a while. 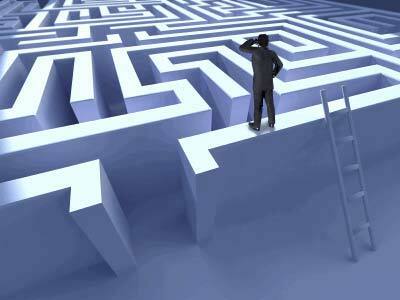 Still, so many problems, so many obstacles in spiritual life! Radhanath Swami: One who has faith in the holy name of Krishna will overcome all obstacles. 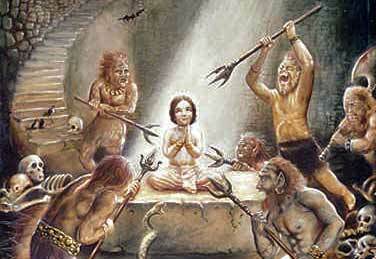 It’s a major difficulty in a devotee’s life—we just don’t have that faith in chanting Hare Krishna. If we just have that faith, there is no obstacle that we cannot overcome. Question to Radhanath Swami: Sometimes we start chanting God’s names praying for some self interest. And it so happens that it is not fulfilled. Then we either stop chanting or we loose the mood of chanting. How can we cope up with this kind of situation? 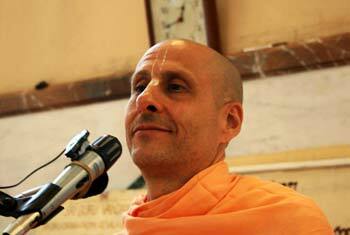 Radhanath Swami: We must learn how to pray from the scriptures and from the great personalities. 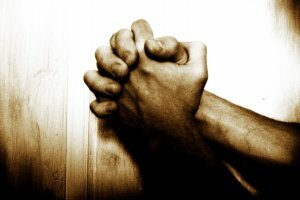 Jesus was happily praying on the cross. Have you ever been through such a situation as he had to go through? Question to Radhanath Swami : We know how to strengthen the foundation in engineering, but how do we strengthen the foundation of our spiritual life? Radhanath Swami : How did you learn to strengthen foundations in the field of engineering? You learn from authorized books and from authorized professors. In the same way there are holy scriptures and there are the holy teachers. Is a Fisherman Engaging in Sin?